Within days after the last leak, Evleaks is on the headline again. 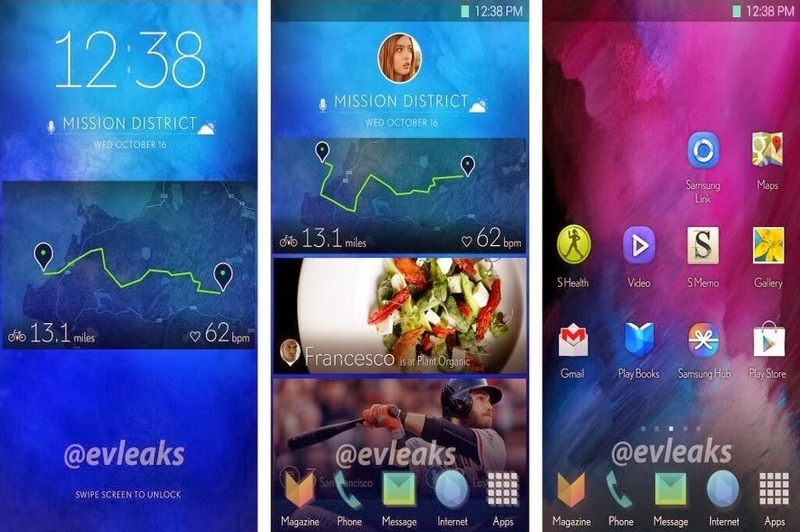 This time they managed to grab 3 screenshots of the upcoming TouchWiz UI currently developing by the Samsung. According to them, Samsung is currently only "exploring" the user interface. More mature than the current TouchWiz UI versions, the new design is a bit more toned down and feels a bit more rounded. Additionally, the homescreens pack interesting widgets, but at this point we can't know for sure what they're doing. We guess Samsung will be ready for the new version of TouchWiz to debut on the upcoming Galaxy S5. It's rumored that the company is rushing to announce the phone at MWC in Barcelona, although this is yet to be confirmed and it seems more likely that the company will hold its own event instead. We can hope once again it might be Evleaks that might give us more in the future about that too.